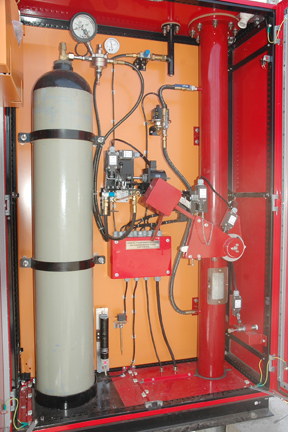 Nitrogen injection based power transformer fire protection system for transformer protection. Saves the transformer from extensive damage apart from ensuring no danger to neighbouring equipments. System operation at 110 VDC or 220 VDC or auxiliary. Low investment and running cost.